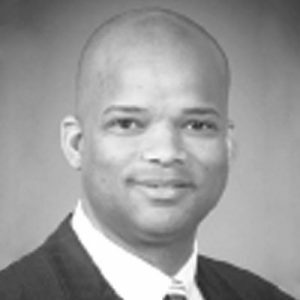 Robert Curbeam is vice president and deputy of Space Systems, a mission area within Raytheon Space and Airborne Systems that builds space-based sensors used for environmental monitoring, weather forecasting and planetary exploration. As a member of the SAS leadership team, Curbeam heads the Visible Infrared Imaging Radiometer Suite (VIIRS) and Trident programs, and provides oversight, as needed, for other Space Systems efforts. Curbeam joined SAS from Raytheon Integrated Defense Systems, and prior to Raytheon, he was president of the ARES Corp.’s Aerospace and Defense Division. A former astronaut, Curbeam served for 23 years in the U.S. Navy, retiring with the rank of captain. He is a graduate of TOPGUN, the Navy Fighter Weapons School, and of the Navy Test Pilot School. During his naval service, he held various roles at NASA, serving as deputy associate administrator for safety and mission assurance at NASA headquarters in Washington, D.C.; director of safety, reliability and quality assurance for the Constellation Program; and deputy director of flight crew operations. During his tenure as a NASA astronaut, he served on three space shuttle missions and performed seven spacewalks. He has logged more than 3,000 flight hours in 25 different aircraft and spacecraft. Curbeam has a bachelor’s degree with merit in aerospace engineering from the U.S. Naval Academy in Annapolis, Maryland. He holds a master’s degree in aeronautical engineering from the Naval Postgraduate School in Monterey, California, where he also earned an advanced degree in aeronautical and astronautical engineering.